The third season of the NBC drama hasn’t even come to an end yet, but fans can already expect Rebecca’s father to prominently be featured in season four of This Is Us. 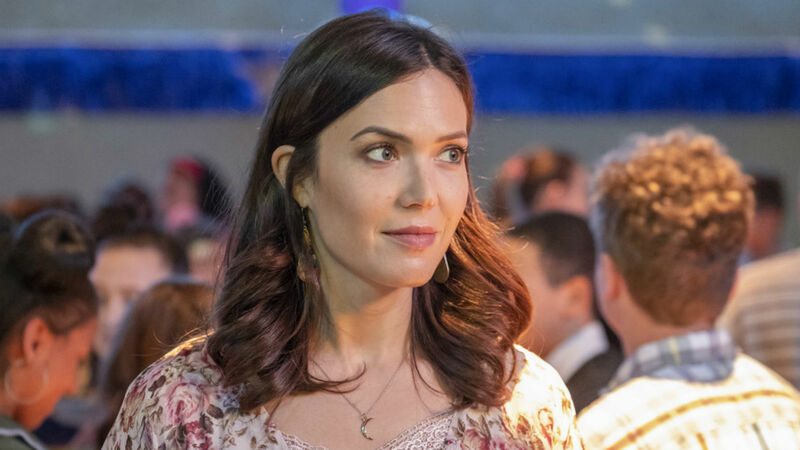 During Sunday’s PaleyFest panel with the entire cast, creator Dan Fogelman revealed that Rebecca’s dad is an important part of next season, a detail that not even Mandy Moore knew about until last night. “Rebecca’s father is going to become a prominent part of the show,” the creator of the beloved series announced. According to Entertainment Weekly, Fogelman revealed the season four tidbit during a game of “Truth or Dare” after being asked to dish something about season four that no one else knew. So, fans can expect to see a lot more of Rebecca’s dad, who we haven’t met. Unfortunately, the role has yet to be cast and it remains unknown exactly how and when her father will show up. Fogelman didn’t give a lot of details about the patriarch, but at least fans know he will be making an appearance at some point soon. Speaking of season four, fans will even see more of Jack and Rebecca’s relationship at the beginning and following their California adventure. Furthermore, there will also be storylines surrounding The Big Three and puberty, especially since the actors portraying young Kate, Kevin and Randall aren’t getting any younger so of course, the show will want to write stories to match the real-life aging of these performers. Oh, and to make fans even more nervous than they probably already are, they better prepare themselves for the final five minutes of the finale. “It’s kind of gigantic — the last 5 minutes of the episode are sprawling,” Fogelman admitted. As reported by EW, Sterling K. Brown and Susan Kelechi Watson said that the last scene of season three was even redacted from their scripts it was so confidential. This Is Us certainly never disappoints in dropping major bombshells, especially during a finale. Until those actual explosions are revealed, fans can begin practicing some type of coping mechanism that will hopefully get them through whatever emotional moments are ahead.